It is known that the arrangement of the ceiling in the bath should be treated with special attention and responsibility, since this structural element is subjected to constant exposure to elevated temperatures and moist air. Another feature of the bath floors is that at their border there is a contact of hot streams of air with cold air masses coming through the gaps in the roof. As a result, condensate forms on the surface of the wooden structure, leading to its destruction over time. At the same time, it is through the ceiling that the main outflow of heat occurs, leading to a rapid cooling of the sauna room. 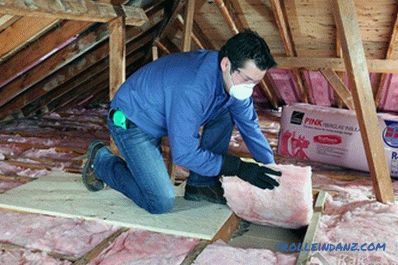 You can get comprehensive information on how to properly insulate the ceiling of the bath only if you carefully familiarize yourself with the device of the existing types of ceilings. In this regard, it should be noted that the basis of any ceiling are load-bearing beams, leaning their ends on the walls of the building. Below to the beams is mounted ceiling flooring, which assumes the main load of the multilayer protective system, which includes in its composition a layer of insulation. 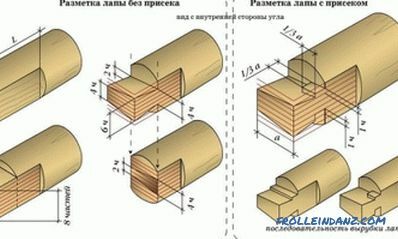 Depending on the material used for the arrangement of the ceiling, these structures can be flooring, hemming or panel. 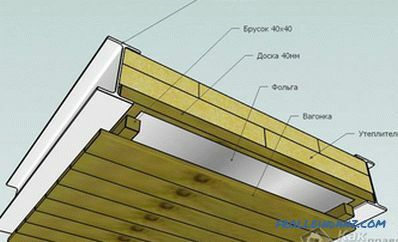 For insulation Ceiling type decking can be used as mineral wool, and bulk materials of a particular class. When arranging the insulated layer of expanded clay, for example, you will have to prepare special fences around the perimeter of the attic. The advantages of flooring type ceilings include high installation speed, relative cheapness and ease of arrangement. 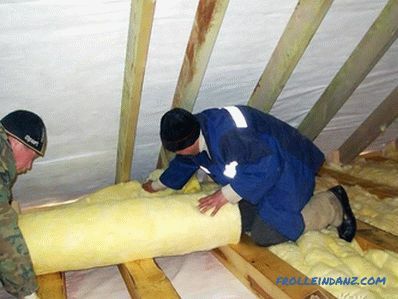 When carrying out repair work, a layer of ceiling insulation is necessary will be completely removed and updated. This type of ceiling has excellent characteristics and is ideal for bath buildings with an attic room. When arranging a hemmed ceiling, the frame of the ceiling, consisting of beams with elements of the supporting structure, is primarily mounted. Then these beams from the bottom are sheathed with a cut board from 35 to 40 mm thick. After that, the ceiling is lined with a layer of vapor barrier film that is attached to the base when using a construction stapler with a small overlap on the walls. Then you can start laying the plate insulation chosen by you right on the film (or cover it with a layer of expanded clay). 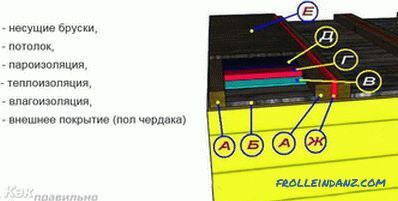 A layer of waterproofing material is laid over the top, usually covered with edging boards. Such a construction of the ceiling allows using the attic of the bath as a working room. In this section, we will introduce you to , how to properly insulate the ceiling of the bath, made on the basis of the panels of your chosen type. Immediately, we note that when laying the panels along the beams, it is best to use jute fibers as a sealer. 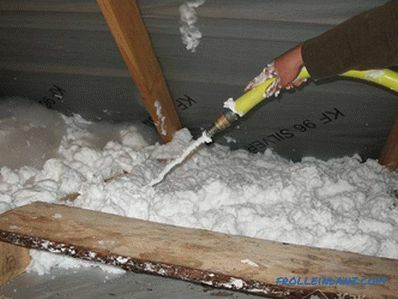 The most affordable ways to insulate panel ceilings should be attributed to the filling of them with expanded clay or filling with any fibrous material. 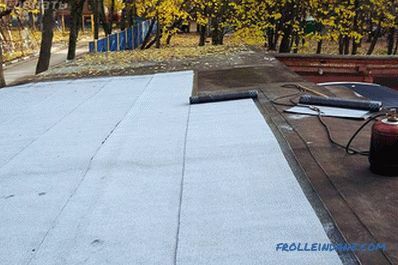 You can start laying the thermal insulation layer only after all the panels are mounted and a plastic film is placed on top of them, which is used as a steam insulator. A layer of waterproofing is laid on top of the thermally insulating material (in no case should it be placed on the bars of the panel floor). To prevent heat leakage through the gaps between the panels, the latter are sealed with felt with plastic lining. 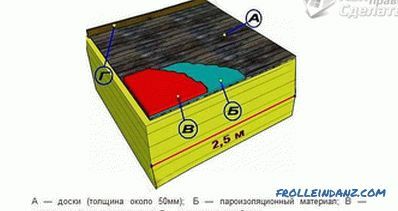 After the installation of all protective layers is completed, it will be possible to proceed to the installation of flooring recruited from cut boards. To do this, the length of the board, equal in length to the total width of the flooring, is attached to the bars with self-tapping screws or blind screws.After that, several boards for panel width are fastened to the panel bars, and a long board is nailed close to them. 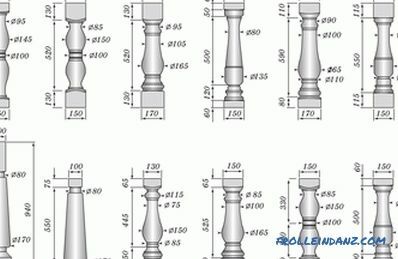 Thus, by alternating long and short lengths of the board, you can get a complete floor covering.